Brain tumour. 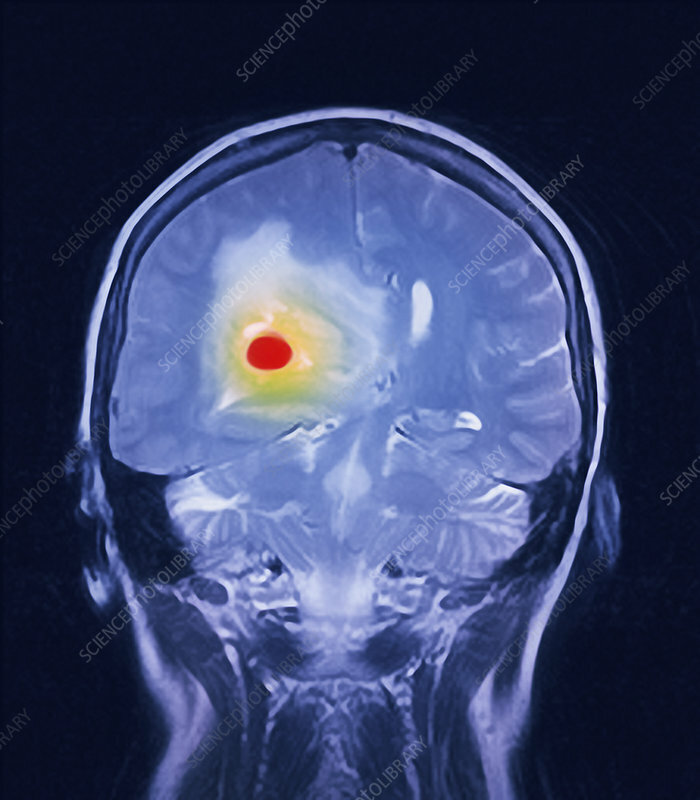 Coloured magnetic resonance imaging (MRI) scan of a coronal (front) section through the head and neck of a female patient with a brain tumour (red). The spine is at bottom centre. Tumours put pressure on the brain, causing a range of symptoms. These depend on the area of the brain affected, but can include headaches, changes in behaviour, seizures and nausea and vomiting. Treatment is by surgical removal, or with radiotherapy or immunotherapy to reduce its size.